Timmy & TJ have begun practicing massage & life coaching in a space off Greenville Ave and Henderson Ave. 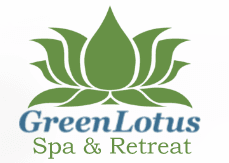 If you had a favorite Green Lotus therapist, email us at Booking@SoulbirdWellness.com and we will pass along their contact info to you so that you may see where they are practicing! Due to real estate changes for our building, the landlord decided unexpectedly to not renew our lease on our 7th anniversary. This was as much of a shock to us as it is to you, and we thank you for 7 years of the most incredible healing.